John Carpenter’s THE THING Reunion! 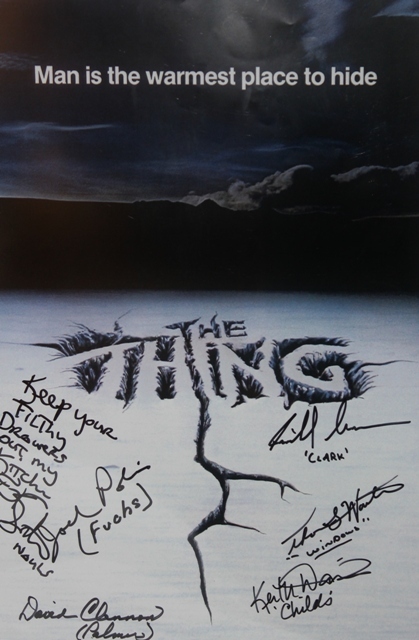 Days of the Dead’s THING-FEST; which not only included the largest gathering of actors from John Carpenter’s THE THING but also the biggest collection of props and collectibles, was well worth the trip to Indianapolis in itself. Russ and I are both huge fans of the movie and I’m expressing no hyperbole here when I say we were ECSTATIC to see a convention finally give it some proper attention. From the film’s first pulse-pounding moments (enhanced even further by Carpenter’s fantastic score), I was captivated by it. And, in keeping with the film’s overall theme of paranoia, I also found myself rooting for the wrong side even before the opening credits had finished. Perhaps my devotion to THE THING is a prime example of how we, as adults, tend to be enthralled by the very things that provoked us as children. …and seeing a “defenseless” dog getting shot at by a sniper in a helicopter absolutely provoked me. Although I wouldn’t see THE THING until I was in my late teens, I’d always had a soft spot for animals. I could never stand seeing anything bad happen to any animal (including King Kong) on screen no matter how many assurances I’d get from the adults in my life saying “no animal was harmed during the making of the film” To put things further into perspective, I was more traumatized by Disney’s Old Yeller as a kid than anything by Universal or Hammer Studios. As if the first scene wasn’t challenging enough, mere minutes later THE THING would deliver its final blow to my sensibilities when a beautiful Alaskan Malamute’s face peels apart like a banana, revealing the menace within. I’ll never forget how I felt watching that scene for the first time…an even mixture of horror and fascination. Despite my aversion to animals in distress, the effects were unlike anything I’d seen before and I could not turn away. 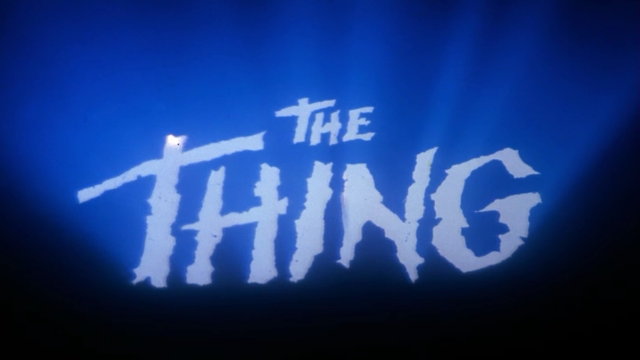 And that’s the thing about THE THING, my friends…it’s not only bold in story but in its spectacular visuals as well. In my opinion, these amazing special effects not only still stand today but often surpass its modern CGI cousins…and, yes, I’m extending that criticism to its own forgettable, 2011 prequel. 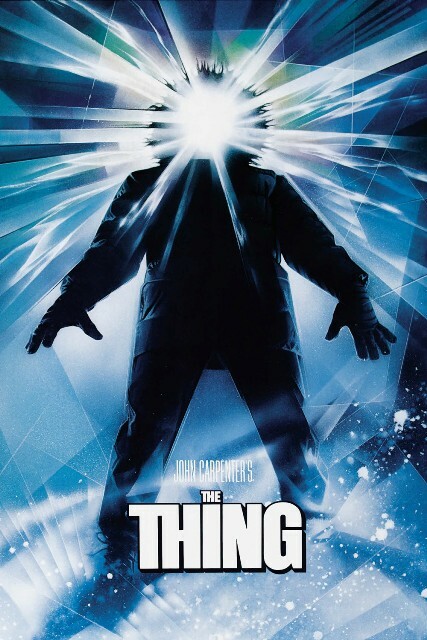 Russ is only two years older than me but was blessed with cooler parents who allowed him to see THE THING on the big screen when it came out in the summer of 1982. I was eleven at the time and, in contrast, wasn’t allowed to see an R Rated movie until I was old enough to drive myself to one. Unfortunately, in regards to THE THING, most folks were like me and missed its theatrical run as it underwhelmed at the Box Office. This would later be addressed by the actors themselves during a Q&A Panel and something I’ll be covering in an upcoming post. 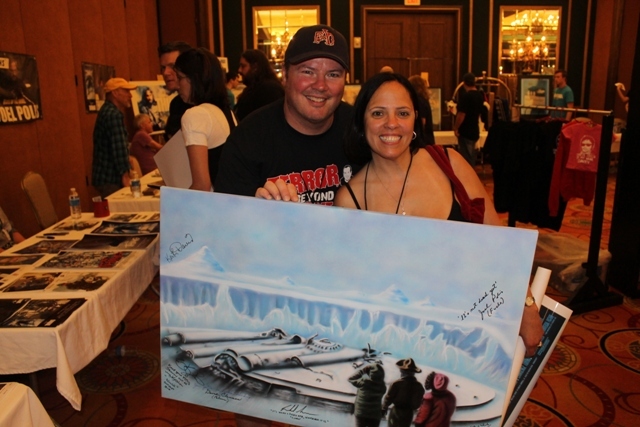 To express his love of the film, Russ created a painting that he’d shown me the previous March while we were at the Horrorhound Weekend in Cincinnati. 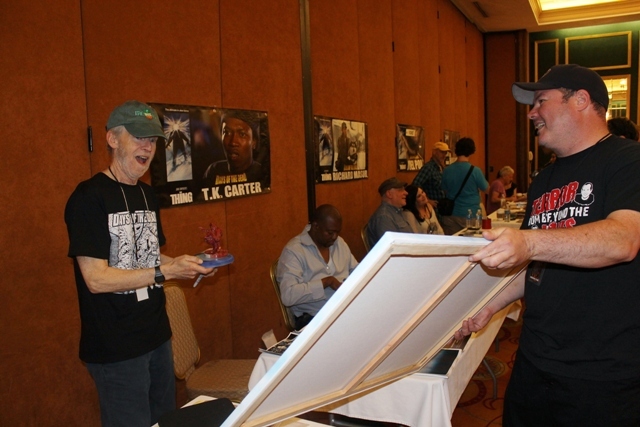 He’d brought it along with the hope that he could get it signed by the film’s director, John Carpenter. Later, he’d change his mind after seeing how long the line was to meet him. Personally, I felt this event was more appropriate for its debut anyway. 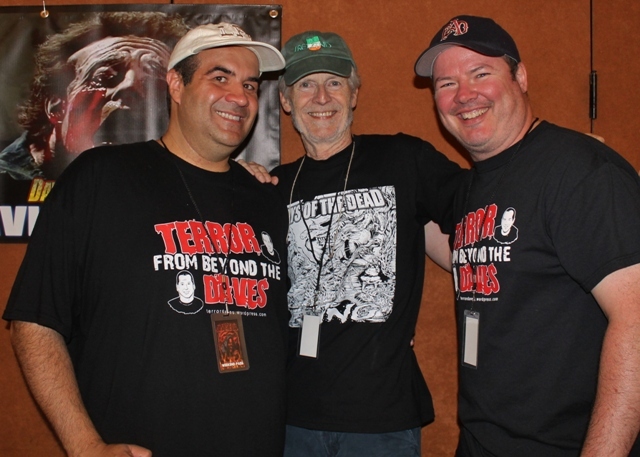 This Days of the Dead would feature cast members T.K. Carter (Nauls), Keith David (Childs), Richard Masur (Clark), Thomas Waites (Windows), Joel Polis (Fuchs),and David Clennon (Palmer) who was a last minute add-on. 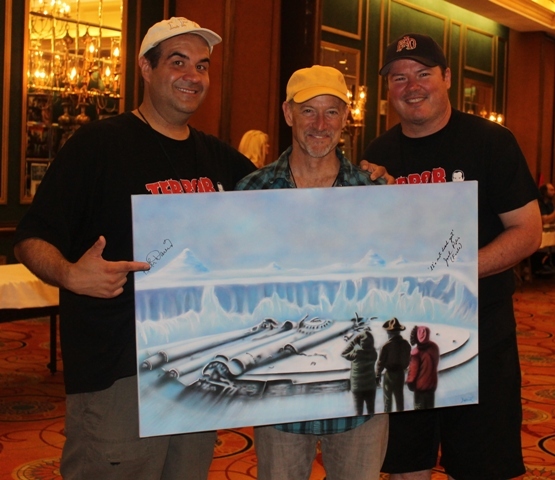 It would also mark his first convention appearance, all due to the encouragement from his friend and fellow cast member, Thomas Waites. 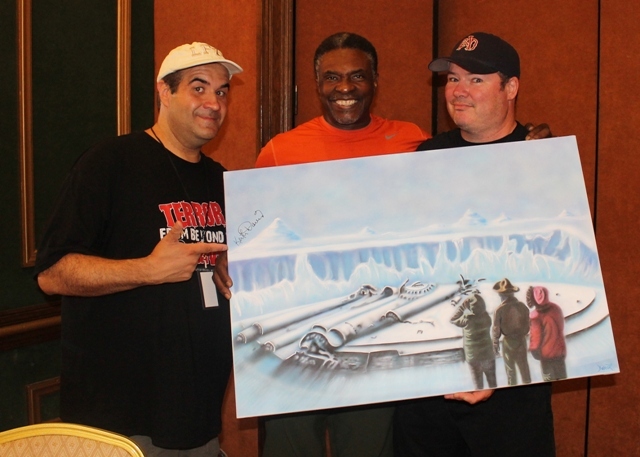 The actors loved Russ’ painting and all of them happily signed it! 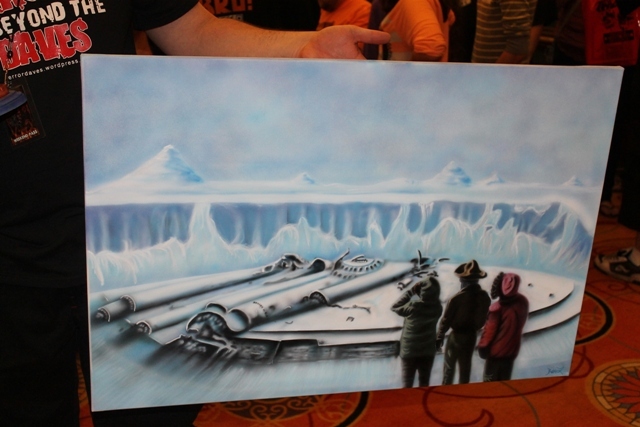 During the course of the evening, a woman walked by and lit up when she saw Russ’ painting. Sensing her level of interest, I then witnessed my friend undergo an uncanny metamorphosis! In fact, had he been an Alaskan Malamute, his face would have spilt open revealing one savvy salesman beneath. 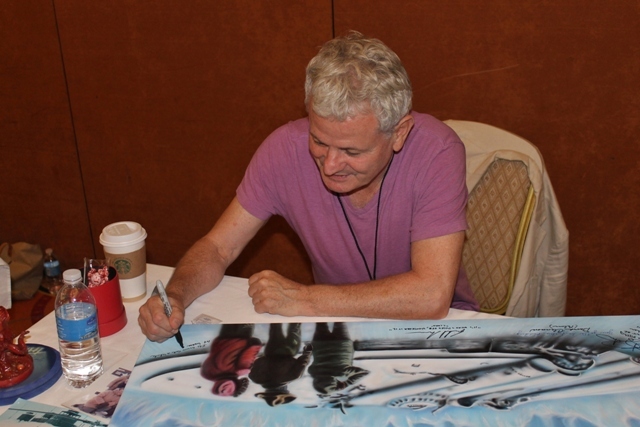 He’d not only quickly tell her the painting was for sale but, without skipping a beat, quote her a price while mentioning the rarity of it being signed by so many cast members. Needles to say, it now belongs to Ms Deardra Rivera and is hanging in her Seattle home. Deardra and her newest work of art! As for myself, I wanted them to sign an 11×17 poster for me but was never thrilled with the traditional design I’d brought along. Love the movie…never liked this poster! 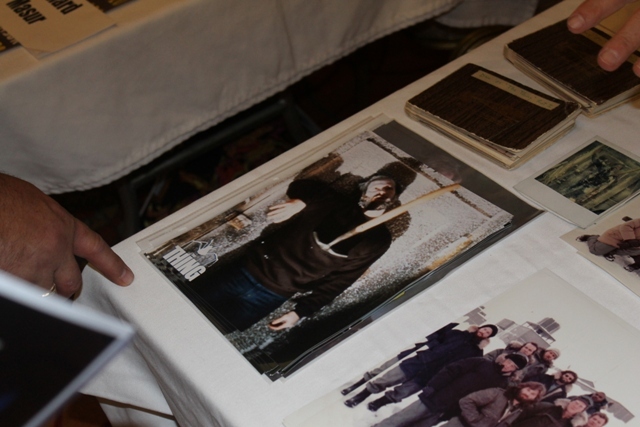 Fortunately, there was a dealer right there at Days of the Dead who happened to be carrying a rarer version that I preferred. Though simple in design, I loved that it included the great tag-line, “Man is the warmest place to hide,” while also providing ample space for signatures. 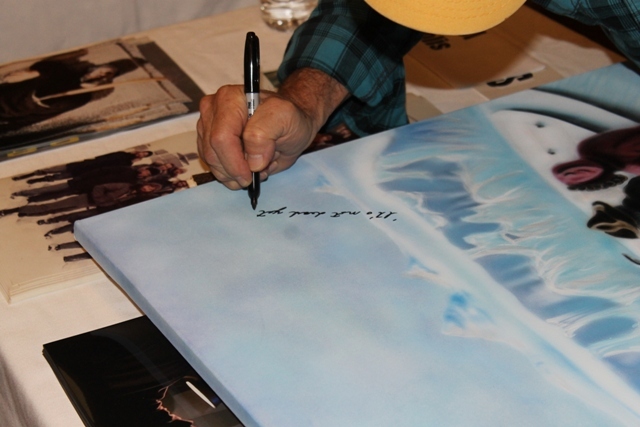 Like Russ’ painting, the extra negative space would allow the autographs to enhance the image rather than clutter it. 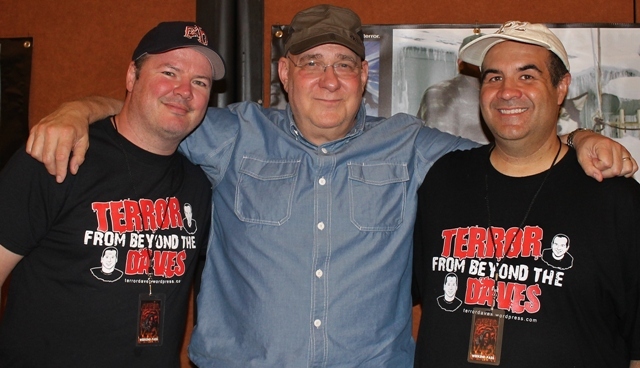 This would mark the first of several visits Russ and I would make to THE THING folks who were all VERY friendly, energetic and visibly proud of their work in the film (as they should be). If there’s one thing a genre fan hates, it’s the discovery that your admiration for a film isn’t shared by those behind it. That being said, it’s another reason why Russ was better off sharing his creation with these guys as opposed to John Carpenter who seems to have the same level of satisfaction for his film work as I do cutting the grass. One of the best meetings was with Joel Polis (Fuchs). Polis had actually taken private behind the scenes photos throughout the filming of THE THING and believes he’s the only person on the set who did that. 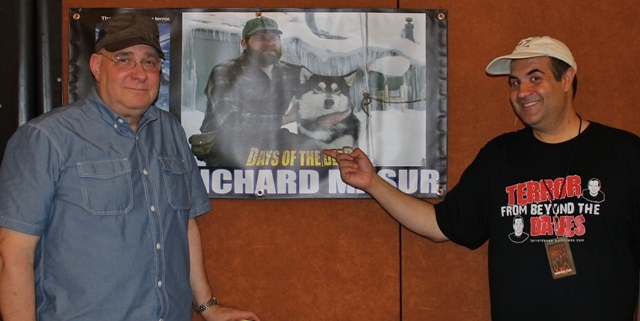 He’d brought many of these rare shots to the convention to share with fans which I thought was awesome. Obviously I can’t show those pictures here but, fear not, they will be featured in an upcoming book Polis is working on. 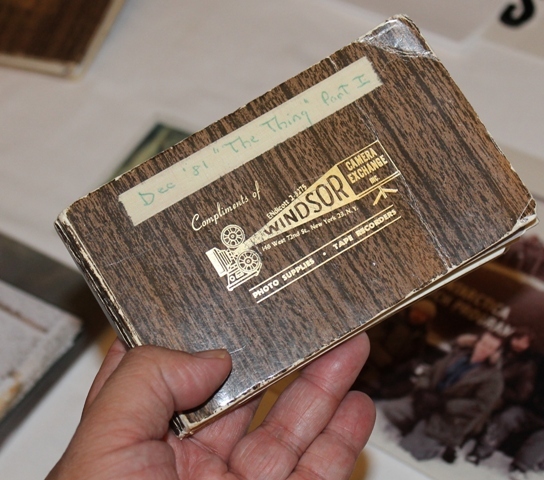 Polis gets props for not only giving fans rare glimpses of their favorite movie via his pictures but for also offering an interesting 8×10 that features a scene with his character that never made it into the film’s final print. The shot depicts Fuchs’ slain, complete with a pick-axe lying on his body. Carpenter later decided to cut the scene out as he felt it made the movie appear too much like a horror/slasher movie (a genre that was at the height of its popularity at that time) as opposed to the science fiction film it really was. This idea “hacked” by Carpenter! We both gave a blank stare. Unsure quite what to make of that, Russ and I decided it was best to act as if it were the most profound and amusing thing we’d ever heard. Right next to Thomas Waites’ signing booth was the amazing THING-FEST collection owned by New Jersey native-turned-Canadian, Joe Hart! And, just like the very movie it celebrates, it was something that had to be seen to be believed. This entry was posted in Alien Invasion Films!, Convention & Expos, Science Fiction and tagged David Clennon, DAYS OF THE DEAD, Joel Polis, John Carpenter, Keith David, Richard Masur, T.K. 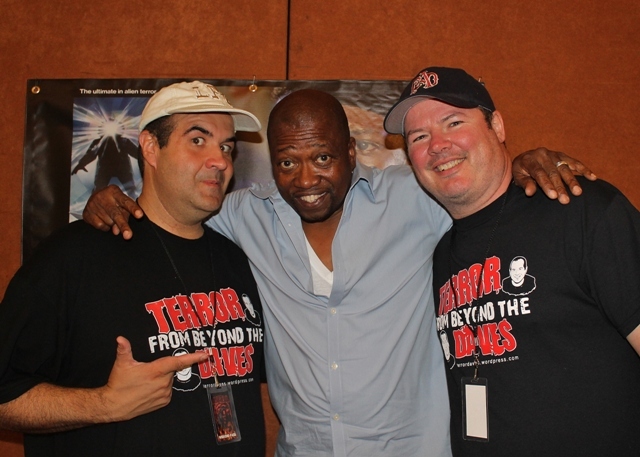 Carter, THE THING, THING-FEST, Thomas Waites. Bookmark the permalink. ← “The Conjuring” Summons the Scares! As always Dave, great story and wonderful pictures! Thank you! I love your comments but most of all your enthusiasm.Thanks for taking the time!